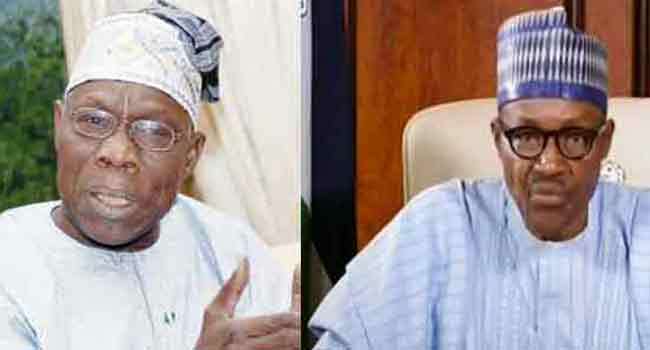 Former President Olusegun Obasanjo has accused President Muhammadu Buhari of returning the country to the era when state institutions were used to fight perceived enemies of the government. He made the allegation on Sunday while briefing reporters at his residence in Abeokuta, the Ogun State capital. The elder statesman alleged further, “Criticism, choice and being different are inherent trademarks of democracy. In an open letter entitled “Point for Concern and Action”, the former President accused President Buhari of planning to rig the elections and intimidating the private sector. He also alleged that President Buhari has attacked the National Assembly and intimidated the Judiciary to “cow them to submission”. The former President, however, called on Nigerians to use the elections to make a statement by electing only leaders that can put the country on the path of progress. He read an excerpt of the letter to reporters in the video below.